"If you’re looking for an agent, think of a writer who you really admire. Then imagine their agent reading your script. Are they going to be impressed enough to spend time out of their busy day to represent you when they could be focusing on that other great writer? Any agent worth anything has at least a couple of very talented clients. "I find this is one of the hardest things to impress upon students. You can’t just write a script that works. You have to write something that’s better than almost everything out there. You’re not just competing against other students or the people in your writers’ group. You’re competing against the best writers in the business." Barry Eisler is an author of bestselling thrillers who decided to give up traditional publishing—and a nearly half-million dollar two-book deal—for self-publishing. In this online discussion, he said, “If you think about it, for years publishers have been steadily outsourcing their core business functions. Culling the slush pile went to agents long ago. A lot of editorial devolved to agents, too. Marketing has increasingly become the responsibility of writers, who are expected to blog and be social media demons. I think publishers felt comfortable outsourcing all these functions because they felt the lock they had on their core function—distribution—made their overall position impregnable. But doing it on your own is scary. How do you know if your work is ready? How do you wade through the complicated world of e-publishing and print on demand? How do you even know where to start? Follow the link above to place a bid. 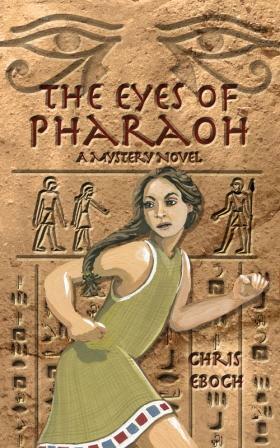 I’ll be going to the Left Coast Crime convention for mystery writers and fans over the next few days. I’m speaking on a panel about “Growing New Readers” and giving an individual talk on “What I Learned from Nancy Drew.” I’m also hosting a table at the banquet, where I’ll give out copies of my new books, Rattled and The Eyes of Pharaoh, to interested readers. I’ll ask them to write a review in exchange. 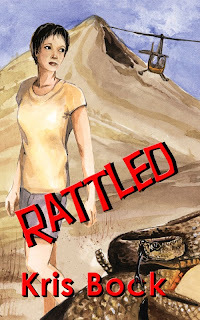 This convention was a big reason I chose to self-publish Rattled. My agent was interested in representing the book and thought we had a good chance of selling it traditionally. 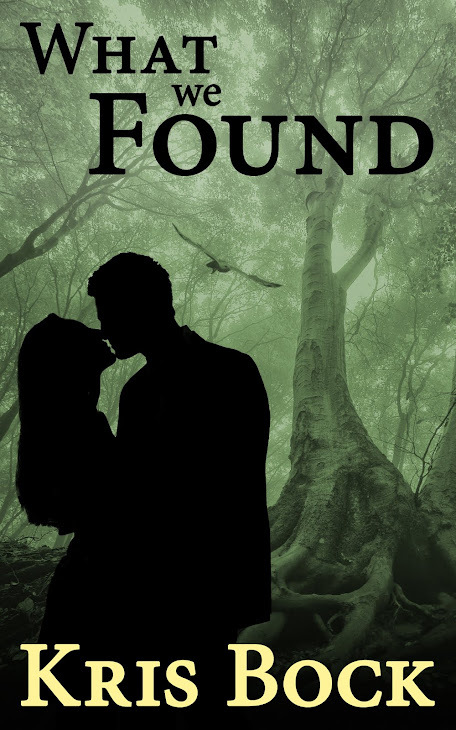 I wouldn’t have minded a traditional publishing deal, especially for my first book in a new category, romantic suspense for adults. But it might have taken six months to a year to get a contract, and another year or two before the book came out. I would’ve missed this great opportunity to attend a convention of mystery lovers in my own backyard. In future years, Left Coast Crime will be in other cities, requiring a much more expensive trip. Plus, I was getting tired of other people determining the pace of my career. My agent was supportive when I told him I was considering self-publishing. He understands the opportunities and my desire to take advantage of them. So I edited the book based on his feedback, proofread it, got Lois Bradley to do the cover art, learned everything I could about self-publishing, and now have both print and e-book versions (Kindle and Nook) available. I had to pay express shipping and have the copies of Rattled sent to the conference hotel, but they should be there in time! From what I’ve been learning about self-publishing, the most important thing is to get multiple good reviews online, and to make sure your book has appropriate tag words. Once you start this buzz, a good book can take off on its own. That’s why am trying to spread the word quickly, and why I’m willing to give away copies to highly interested readers (I figure that anyone who spend several hundred dollars to attend a convention, plus potentially airfare and hotel if they’re coming from out of town, is a highly interested reader). “Super readers” are also more likely to be active reviewing books on blogs, listserves, and social networking groups. I’ll report back on the convention—and what the buzz was on self-publishing—next week. If you want to find out more about Left Coast Crime, visit their website. Self-publishing has a negative connotation, and frankly, it’s well-deserved. The vast majority of self-published books were and are bad. Badly written, poorly edited (or simply not edited at all), and clumsily designed. A couple of years back I went to a talk by librarians who had judged The New Mexico Book Awards, which is open to both traditional and self-published books. The librarians talked about why many books didn’t make it to the finals. Problems included spelling and grammar errors and using clip art that had nothing to do with the text. These books weren’t just not good, they were bad. If that weren’t enough, self-published authors got a reputation for being aggressive. They were the ones at book fairs who would grab you and talk about their books until you bought one just to escape. And yet these days the big buzz in the writing world is about self-publishing—often including success stories and predictions for a beautiful future. Now when I bring up the topic, most people are at least curious about the possibilities, whether they are beginning writers or well-published professionals. I’m not exactly an outsider to traditional publishing. I’ve sold 12 books to publishers. My first novel, The Well of Sacrifice, is still in print after 12 years. But in recent months I’ve followed discussions about self-publishing and found the possibilities tempting. Joe Konrath, who writes thrillers, is one loud voice in favor of self-publishing. He started with traditional publishing, moved into self-publishing, and has been so successful that he now insists no serious author should accept a contract from a publisher. Other voices are more moderate, and a number offer warnings, such as the often quoted statement that more self-published books will sell fewer than 100 copies than will sell more than 10,000 copies. Still, I’ve weighed the pros and cons and decided to explore self-publishing myself. 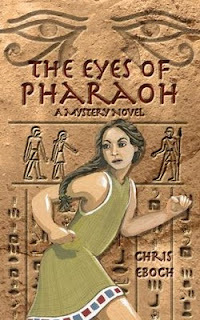 I’ll have two books out by the end of this month—a middle grade mystery set in ancient Egypt, The Eyes of Pharaoh, and an adult romantic suspense, Rattled. I’ll post about the experience here on Wednesdays—challenges and frustrations, surprises and (hopefully) successes. Let me know your questions and I’ll try to address them. It’s a brave new world, and we can explore it together. Post the opening of your novel, short story or picture book in the comments -- up to 300 words. Everyone who posts will get a brief critique. That's right, everyone! One out of every 10 submissions will get a more thorough critique. That means the more people who play, the more critiques you'll see. So bring your friends and spread the word! Please post only one excerpt per person. I'll keep gathering submissions through the end of the month and start on critiques over the following month. In other news, after publishing 12 books with traditional publishers, I'm exploring the brave new world of self-publishing through e-books and print on demand. If you follow publishing news at all, you'll hear lots of hype and almost as much panic about the self-publishing revolution. So I'm adding a new element to this blog: on Wednesdays, I'll cover the elements of self-publishing. I'll discuss why so many people, including professional writers, are turning to self-publishing; when you should -- and shouldn't -- consider self-publishing; the time, money, and skills involved in doing it right; and notes from my own journey, both the successes and failures. Keep stopping by on Fridays for articles on the craft of writing, but swing by on Wednesdays as well, to learn more about new publishing options. To follow up on my series on novel revision, here are a few other great resources. Writers Digest has an online article on 4 Techniques to Fire Up Your Fiction. It includes prompts from literary agent Donald Maass on how to dig deeper into your scenes and pump up the intensity. Cheryl B. Klein, senior editor at the Arthur A. Levine imprint of Scholastic, is known for giving great writing workshops. She's now collected many of her talks together in Second Sight: An Editor’s Talks on Writing, Revising, and Publishing Books for Children and Young Adults. She discusses both picture books and novels, with in-depth analyses of the Harry Potter series, The Hunger Games, and a couple of humorous novels by Lisa Yee. It's like looking over her shoulder while she works! Along with advice on everything from opening lines to finding the emotional heart of your story, she addresses the business side of publishing by sharing an example of The Annotated Query Letter from Hell and an Annotated Query Letter That Does It Right. Because these essays started with different talks Klein gave, the material is sometimes repetitive. That becomes interesting in itself, however, showing how ideas can develop and become refined over time, an example of editing. It's worth taking your time over each essay, letting it sink in and trying some of her techniques. This is one of the few writing books that seems to target intermediate and advanced writers far more than beginners. You'll return to this one again and again. 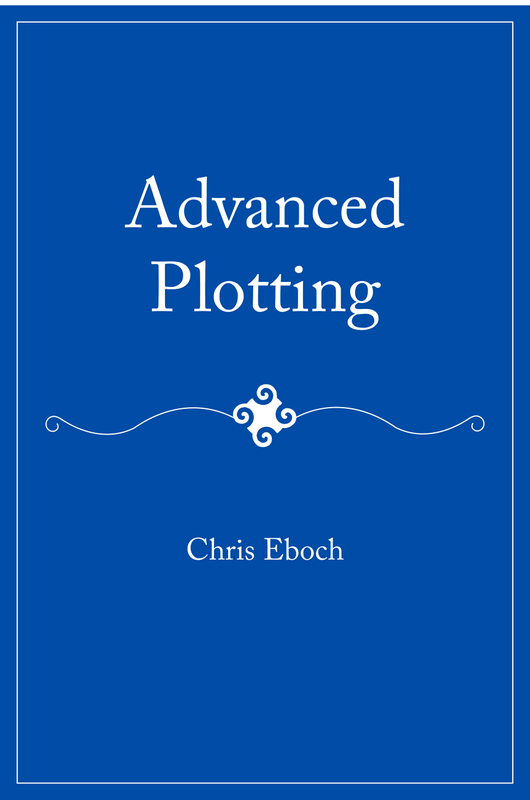 I've also combined many of my own articles on writing, plus expanded workshop notes, plus essays from other professional writers, into a 106 page book called Advanced Plotting, available as a $9.99 paperback or a $4.99 e-book. If you like the writing advice you get here, please check it out.